On this week’s Inside PR podcast, Gini Dietrich, Martin Waxman and I talk about new social management tool Jugnoo, tablet computers, Facebook timelines for pages and a new feature in social media measurement tool Sysomos. Last week we reported that Jugnoo, a new social media management console service had launched in open beta. Martin and I both were impressed with its feature set. (Disclosure: Gini Dietrich is an adviser to Jugnoo. However, Martin and I weren’t aware of this when we raised it as a topic of discussion for the podcast. Discreet Gini.) I was so impressed that I requested access to the beta so that I could test it. And then I hit a hard stop. As one of the first steps in using the service, Jugnoo asked me to install some code on my website so that Jugnoo could access data from my site. For me, this is a show stopper. Installing code and sharing data is a big step, one that I am willing to take only with services that I trust and that I have some degree of comfort I’ll use for some time. Gini thinks that I’m being overcautious. She believes that most small businesses won’t hesitate to provide access to their data because they will perceive that in return the service will “hold their hands,” providing them with insight into what they should be doing and whether it is working. Do you have the same reaction to being asked for access to the backend of your Website as a first step in testing a service. We also talk about the rapid adoption of tablets in the workplace. Two years ago, we considered our notebook computers to be the go-to mobile devices. Today, we each use a tablet computer. Initially, tablets were billed as media consumption devices. However, all three of us now use our tablets to create content – blog posts, documents, etc. Gini and I have found that this has driven us to switch from Microsoft Office to other applications that exist in the cloud – Evernote, DropBox, Google Docs. We use these apps to have access to our data and content across devices. This enables us to move smoothly between our desktop computers, notebooks (yes, we still use them), tablets and cellphones. And we see this trend accelerating with the newest generation of tablets. We wonder how long it will be before we will be able to reduce the number of devices. The limiting factor on this is the evolution of tablets to include both the hardware and software to support all the content creation we want to do. Timelines – too much commitment for small businesses? Timelines for pages is being rolled out to all users at the end of the month. Gini is keen on timelines. She’s watched as content that she had long ago posted to the Arment Dietrich page has resurfaced. Old content becomes more accessible. I’m skeptical of the value of timelines for small businesses. Many small businesses have limited resources to devote to social media. And it seems to me that corporate page owners will have to devote considerable energy and resources to keep their content fresh. And this may not be a priority for may businesses. Finally, we talk about the integration of Google Analytics into Sysomos’ Heartbeat social media monitoring service. A nice addition that makes a good service better. Listen to the podcast and tell us what you think. Are we on the right track? Missing something? Do you have a different view? Gini has been testing the reach and impact of Pinterest. She pinned some pictures of items from a friend’s ecommerce store on her pinboard. Then, she and her friend watched her Google Analytics. Pinterest generated lots of traffic to her friend’s ecommerce site- it was the number three traffic source for the four hours after Gini pinned the pictures. That’s pretty impressive, especially given the ease with which content can be posted to Pinterest. But it goes beyond that. The conversion rate for people who arrived at the site via Pinterest was higher than the conversion rate from any other source of referrals. Pinterest drives traffic and the traffic it drives is engaged. I’m interested in Pinterest’s impact on other existing services. I’ve moved my photo-taking from Instagram to Pinterest because I like the ease with which I can tag, organize and then browse my photos on Pinterest. I’m also drawn to move some of my social bookmarking – at least for the highly visual items – away from the two services I have been uising, Diigo and Delicious. I find the simplicity of Pinterest makes it a tool with many possibilities – much like Twitter was at its outset. A basic concept that appeals to a common urge – to express ourselves – and because of its simplicity allows people to use it in the way that makes sense to them. Pinterest may not work for all companies and products. It may be best for highly visual products. But if you sell items that you can showcase visually, you should explore whether Pinterest is for you. Our discussion about Pinterest starts at 7 minutes 15 seconds into this week’s episode of Inside PR. We are: Martin Waxman, Gini Dietrich and Joseph Thornley on Pinterest. It’s the week after the snowstorm – and Inside PR is digging out from under the snowbanks – or at least Gini Dietrich is. Last week, I chaired a conference on Social Media for Government, organized by the Advanced Learning Institute. This conference was bookended by a pair of extraordinary presentations by Linda Williamson and Elena Yunusov from the Office of the Ombudsman of Ontario andScott Mills from Toronto Police Services that dealt with the demonstrations and conduct of the police during last summer’s G20 Summit in Toronto. Both the Ombudsman and Toronto Police Services use social media – and both were remarkably candid about their experience and the lessons they learned. All in all, two extraordinary presentations. Gini takes us through the Kenneth Cole #Cairo fiasco on Twitter. Gini reminds us that companies trying to raise their profile through stunts should remember that all PR is not good PR. Martin draws on his background in comedy to point out that gallows humour is a tough thing to pull off. I suggest that hashtag for Kenneth Cole’s tweeting should have been #Crass. And to close out the show, Martin talks about Twitter’s appearance in a recent episode of Gray’s Anatomy. Martin, is Gray’s Anatomy still on the air? 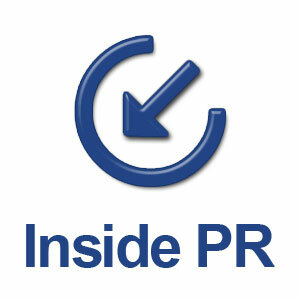 As always, thanks to Yasmine Kashefi for producing Inside PR. We’ve scheduled a live Inside PR recording on February 26 at Podcamp Toronto. If you’re planning to attend Podcamp, please join us to take part in the live recording. Let us know what you think. Leave a comment below or send an email or an audio comment to [email protected], join the Inside PR Facebook group, or message us @inside_pr on Twitter. Or connect withMartin Waxman, Joe Thornley, and Gini Dietrich on Twitter. This week on Inside PR, Martin Waxman, Gini Dietrich and I discuss viral videos and Quora, the question and answer website. The viral video discussion begins at minute 2:55 and the Quora discussion at minute 11:34. And please join the conversation with us. Leave a comment on this post. Even better, send an audio comment to [email protected] We’d love to include your audio clip in the next podcast. Big thanks to our producer, Yasmine Kashefi.